You can help your children grow up to have healthy smiles by teaching them about oral hygiene early. Although it can be a challenge at first, adding a bit of fun into practicing proper oral hygiene can create a positive experience for kids. This will help in making them feel excited about taking care of their dental health. Here are some tips for creating a positive lasting impression on dental hygiene habits. They always say that children mimic what adults often do. 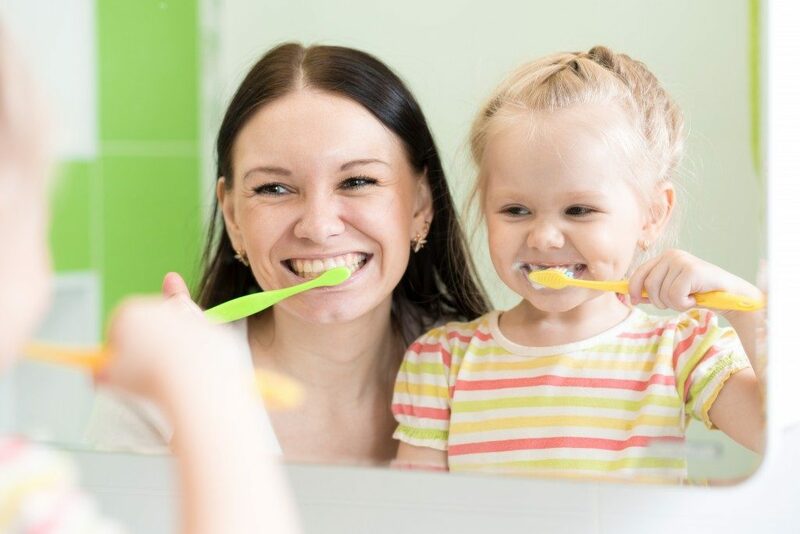 So, show your little ones the proper way to brush their teeth by doing it together every day. Your routine should include tongue brushing and flossing techniques, too. However, do help them to floss their teeth until they are old enough to do it by themselves. Regular visits to a dental care clinic in Oviedo are necessary to ensure that your children’s oral health is well maintained. Although daily brushing is great, regular dental visits will help you monitor your kids’ oral health better. Moreover, it will allow the dentist to foresee any problems that may arise in the future. Treating these problems as early as possible will cause fewer dental issues in the future. Thumb sucking is quite normal until children reach the age of three. Research shows that prolonged thumb sucking can harm kids’ oral health condition. Leaving this behavior unattended will affect the structure of their jaw and teeth. So, try not to let this behavior last by thinking of various means to remedy the habit. You can do a thorough research session to help you determine which approach is best for your children. Try to incorporate fun into your session by letting your children use soft-bristled brushes designed with their favorite cartoon characters. Pick the best ones that can spark your children’s interest to create an impression that brushing their teeth can be fun, too. You may not be aware of it, but you can inject fun and excitement to your kids’ toothpaste, as well. Kids may find regular toothpaste too strong for their taste buds. But you can undoubtedly choose toothpaste products with a unique flavor to give it a little twist. However, make sure that the toothpaste you get also has anti-cavity fluoride to keep your kids’ teeth protected against any cavity. To make it even more exciting, you can try creating a star reward system for your children. Doing so will help incorporate the value of brushing their teeth twice a day even at such a young age. You can give them a star every time they brush their teeth, especially after eating some sweet snacks. There are just some of the ways you can teach your children the basics of oral health. It is always best to lead by example by letting everyone involved in teaching your kids the importance of good dental health.